All TwiddleFactor multichannel apps automatically detect the current input and output route(s). The built-in microphone and speaker of your iPad/iPhone are the default input and output. The built-in microphone only enables mono audio input. But the Audio IO settings provide the possibility to select the built-in microphone and polar pattern (options depend on your device). However, it is recommended to use the default if you do not aim for something specific. External USB-audio-interfaces (e.g. Alesis, RME Fireface) or stereo microphones (TASCAM, Røde) provide up to 8 input channels, all of which are displayed with separate instruments on the main screen. Each channel can be enabled or disabled separately. Just tap the circle representing the channel. Channels of each sources are always named L (for left), R (for right), 3, 4, 5, … and so. You can use Audiobus to add additional input sources. Currently Audiobus supports up to three inputs simultaneously. Please have a look at the support article about Audiobus for further information. This entry was posted in MC Analyzer, MC Goniometer, MC Levels, MC Oscilloscope, MC Studio, Support on 23. October 2013 by Sascha. The level settings can be found in the preferences menu. Here you can adjust the response time and the level range. The preferences menu offers three response modes: impulse (35 ms), fast (125 ms) and slow (1 s). For an uncalibrated device a level of 0 dB is the full scale maximum. However if you calibrated your device to a defined level of your hardware environment you might observe values above that range if clipping occurs (in that case you should decrease the gain/level of your hardware and calibrate again). The peaks are indicated by horizontal lines, which inertially adapt to the current level over time (making them easily readable). This entry was posted in MC Analyzer, MC Goniometer, MC Levels, MC Oscilloscope, MC Sensors, MC Studio, Support on 23. October 2013 by Sascha. All our multichannel Apps (i.e. MC Oscilloscope, MC Levels) are fully Audiobus compatible! Audiobus is a great way to connect apps and send audio from one to another. You may find it very useful to analyse the audio output of some of your favourite Audiobus compatible apps with the help of our instruments. All you need to do is start the Audiobus app and select a TwiddleFactor multichannel app as an output and the app that you would like to monitor as input source. 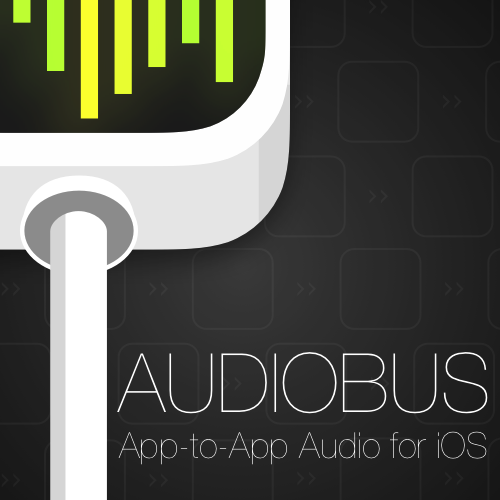 Please find more information about Audiobus here.